Click Goodreads buttons to read summary. For the past six months I've been absent from my blog. I was actually kind of tired of forcing myself to write reviews. By the end, I only wrote reviews for books that made a big impression on me. Maybe you have noticed that lately not many books have left a mark. But Bad Romeo and Broken Juliet made me want to go on here and write something that would make YOU want to read them. I wasn't supposed to love these books. Before I finished book one, I was so sure this was going to be the same old story, which is me starting a book and not finishing it. Fortunately this wasn't the case.The reason why I thought I was going to dislike them was because the first one (and some parts of the second book) have some of the things I dislike in books. 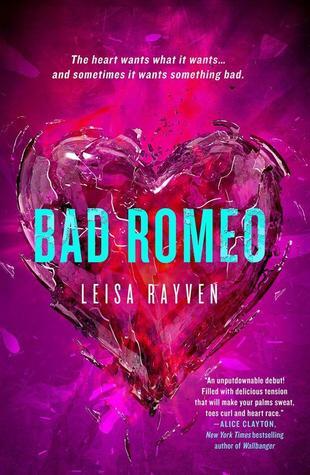 And even though I dislike these things Leisa Rayven make them work by making her characters real and when characters feel real the reader can't help but care about them. No matter their flaws. I'm not going to lie, it wasn't all perfect. I thought about giving up halfway through the first book. I didn't want to give up on another book, but sometimes Cassie would make my eyes roll so bad it hurt and I wanted to hurt Ethan too many times to count. But then the writing kept me from abandoning it. I related to the characters even if they weren't perfect. Sometimes the book got so intense I had to put it down for a little bit to calm myself down. I was feeling too much. All those feelings were thanks to Leisa Rayven's awesome writing powers. She's talented. #truestory. I think I highlighted half of the book because dammit, some of the things she wrote were so beautiful it made me want to cry happy tears. Speaking of tears, I cried. When I say I cried, I mean I ugly cried. 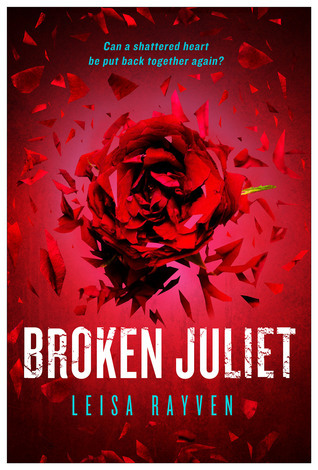 It was towards the end of Broken Juliet. I wasn't expecting to feel what Cassie and Ethan were feeling, but I did feel it. That part of the book felt like I was both of them at the same time, and I was experiencing double the heartbreak. While I sob myself to sleep, I was thinking what an idiot I was because I was crying about fictional characters. Then I was happy because I haven't felt this much for a book in a long time. The interesting part about these books is in the way they are written. The plot line goes back and forth in Ethan's and Cassie's relationship. We start with the present day. In the present, Cassie is this kickass actress that chain smokes, I instantly liked her. You can tell that something happened to make her this tough. Then you get Ethan, I thought he was going to be a total jerk but he seemed ok. So I was confused as to why Cassie treated him the way she did. What did he do to make Cassie hate him so much? Then the books go back to the beginning of how they met. You'll meet two totally different characters. And you get to understand what happened. The books go back and forth just enough to make you understand who these two characters were and why they are the way they are. And their transformations through the books are mesmerizing. I read Bad Romeo and Broken Juliet back to back. It was emotionally exhausting but at the end it was so very rewarding. Oh goodness, if you loved these so much then I really need to make an effort to read them!